In a Building Information Modelling environment, the Industry Foundation Classes (IFC) data model is a neutral and open specification that is not controlled by a single vendor or group of professionals. It is a static object oriented file format with a data model developed by buildingSMART (International Alliance for Interoperability, IAI) to facilitate interoperability. In simple terms, IFC is a global standard for data exchange in the building industries. IFC is both a common data model and an open file format. Building industry professionals can use IFC to share data without losing their intellectual property regardless of what design software application they use to get their design done. IFC is maybe the main enabler of collaborative lifecycle BIM (cBIM). It is an important consideration for any handover strategy. At the same time IFC is a subject to some misunderstandings and multiple “variants” as discussed in the article. Why IFC and why now? Use of Building Information Modelling (BIM) globally is on the rise. To reap the benefits of BIM information exchange is required. The BIM execution plans typically will state the requirements for this exchange. Building owners should be able to state their requirements. Most up-to-date design software to date incorporates IFC functionality but most also require custom settings. What is IFC and where do I use it? Example: I could be developing my virtual building model in Revit, then send it to our interior team who use ArchiCAD. It might also be sent to our engineers who use Tekla. Before the IFC standard file type this would have been a nightmare. As Revit, ArchiCAD, Tekla can talk to each other, but not easily! IFC aims to solve this problem, so that it won’t matter so much. We say bring it on, it’s sounding great. Question” How are IFC files actually used? Are they editable? How can IFC file ACTUALLY BE USED? Is it simply viewed or can i be edited? Answer: IFC is mostly used as an exchange format. e.g. say you’ve designed a building In Autodesk Revit and wanted to import it into ArchiCAD…. IFC is the best (sort of only) way to do that. Example :So a Revit door, after export to IFC and that IFC then imported into ArchiCAD will become an ArchiCAD door. IFC is a static format and cannot be edited by 3rd parties, e.g. their sizes, positions etc? IFC is most effective between Vectorworks and Archicad or vice versa. The reason for this is that both systems are essentially open BIM as opposed to Revit which is considered to be a closed BIM system. Another excellent feature of IFC is that it can export directly to Solibri. This is a free viewer and you can then see quantitive data for every component which has IFC data attached. This is important for Estimators and Quantity Surveyors who are using quantities when measuring for a Bill of Quantities. What do the IFC model exports contain? 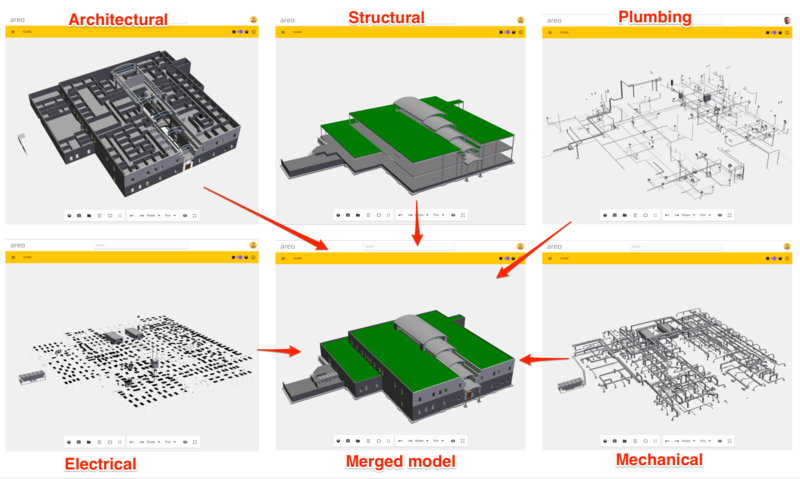 The IFC models contain building geometry and building data. They include “all” or a subset of the information that is contained in native BIM files. Transforming and exporting the native data into an IFC file is a way to transfer data from one application to another. The exchange format is open, free and well documented. By providing the IFC export and import interfaces that conforms with the IFC standard(s) the application vendor are able to provide interoperability with hundreds of other BIM tools and domain applications. Where is IFC used in design and construction? The use of IFC is today most common in the design and construction phases. In design the main use are design visualisations and clash detection. The design team can now reference or merge discipline models regardless of originating application the same way they exchanged DXF files to merge (XREF) CAD files in the past (or overlay blueprints before that). In addition to referencing models from other disciplines IFC files are used to import data from one application to another. BIM objects with geometry, data and schedules can be exported from one originating application and then importing into another to continue design or analysis. In the transfer process there will be some loss of data and object intelligence as we will see later in the article. 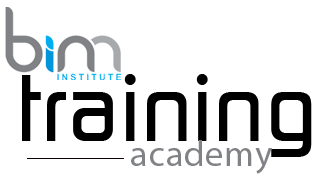 The availability of manufacturers’ BIM objects is an important factor in achieving success with BIM in South Africa. The number of manufacturers engaging with BIM is rising but not quickly enough. The construction industry needs a comprehensive library of manufacturer BIM objects. An Open Data Library currently being developed by Autospec (NDTEC )and BIM.Local (BIMSA) needs to be adopted for the use of a free-to-use data library kits that exploits the specifications for BIM objects. These objects need to be of the right quality, and connect with generic objects and associated technical specifications to support the digital plan of work(DPow). Achieving standardisation between generic and proprietary information is what we need to work towards in partnership and agreement among all parties involved. Having a virtual building model in an open format has also been big win for contractors that can view design intent in easy-to-use programs and do takeoffs and scheduling based on the virtual building model. In addition to the “integrate between bim tools” scenario a host of speciality tools that utilise the IFC format are evolving. Examples are quality assurance tools, model viewers, schedulers, punch list applications etc. 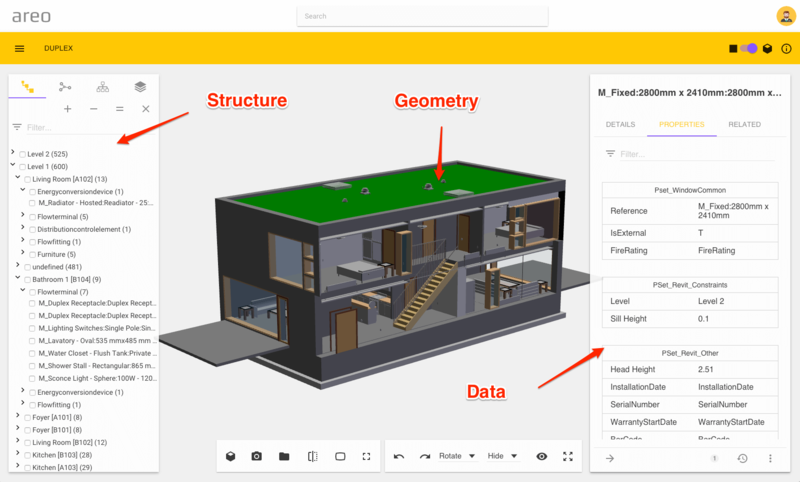 The IFC models contain building geometry and building data. They include “all” or a subset of the information that is contained in native BIM files. Transforming and exporting the native data into an IFC file is a way to transfer data from one application to another. The exchange format is open, free and well documented. By providing IFC export and import interfaces that conforms with the IFC standard(s) the application vendor are able to provide interoperability with hundreds of other BIM tools and domain applications. What file format is IFC? The IFC schema has been released in different versions and is constantly evolving. The two versions that are currently relevant are IFC 2×3 and IFC 4. Even if IFC 2×3 is the previous release it is still the version we are seeing most in use for now and probably will be the dominant version in the near future. IFC4 is extending support for geometries and parametric, extended the building services and structural domain and include a simple XML format(more on formats later). What is IFC to the client? IFC has a good foundation for being a good handover format and form the base of a integrated handover strategy. The BIM models in their native formats already have a lot of data both geometric and non geometric (properties and quantities). With a properly up to date model-export the building owner and facility manager gets a virtual representation of the real building that can be used to support FM processes as we have described in earlier articles. In addition the structure of the models and the objects themselves act as great placeholders to collect additional O&M data needed for the handover phase. The standardisation efforts around IFC also mean that tools are well suited for collection of data for operations & maintenance planning. IFC is here to stay! IFC data files are exchanged between applications using the .ifc, .ifcXML and .ifcZIP file formats.